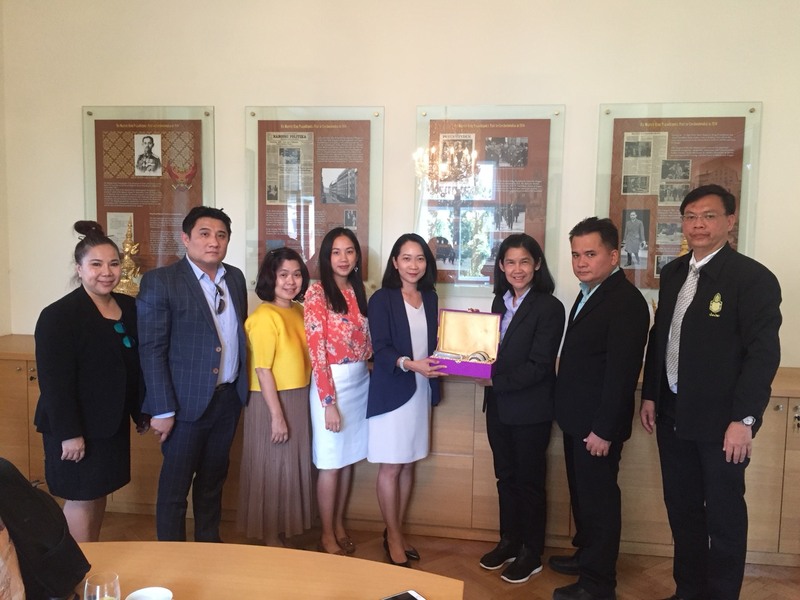 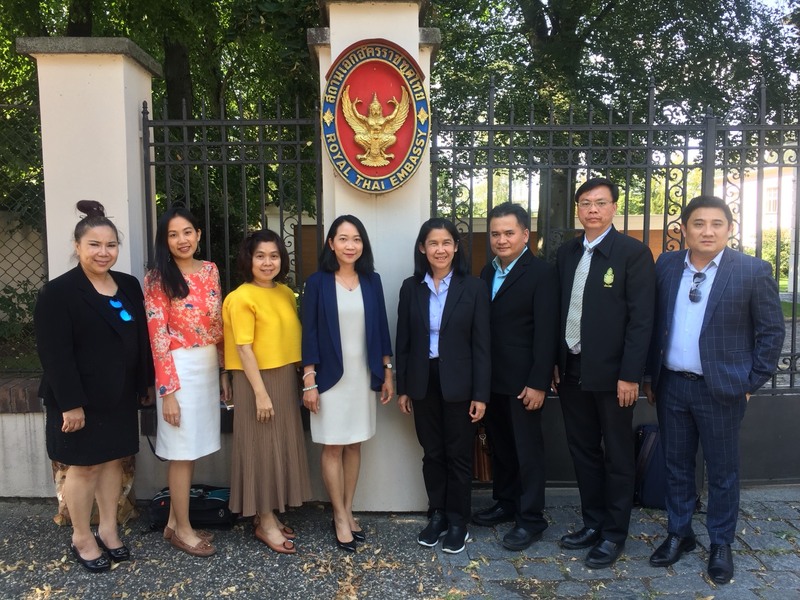 On 17 August 2018, Ms. Nattanipa Burusapat, Chargé d’ Affaires of the Royal Thai Embassy, welcomed Dr. Pranom Comethieng, Director-General of the Department of Health Service Support, Ministry of Public Health of Thailand (MOPH) and the delegation of MOPH at the Royal Thai Embassy during their visit to the Czech Republic to collect data on Czech spa town management. 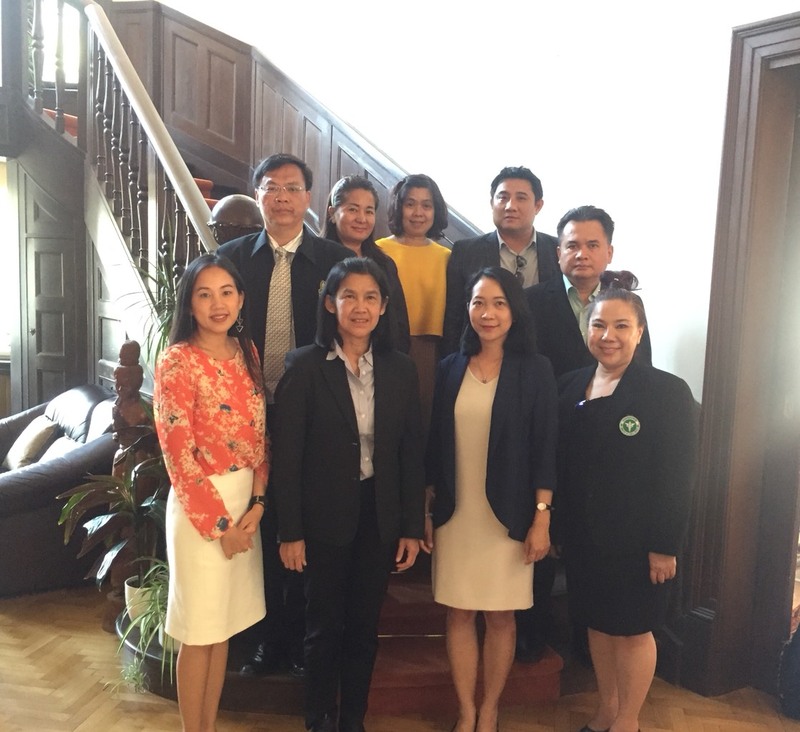 The Chargé d’Affaires also gave the delegation a comprehensive briefing on the medical spa and spa business in the Czech Republic, especially in Karlovy Vary and Mariánské Lázně. 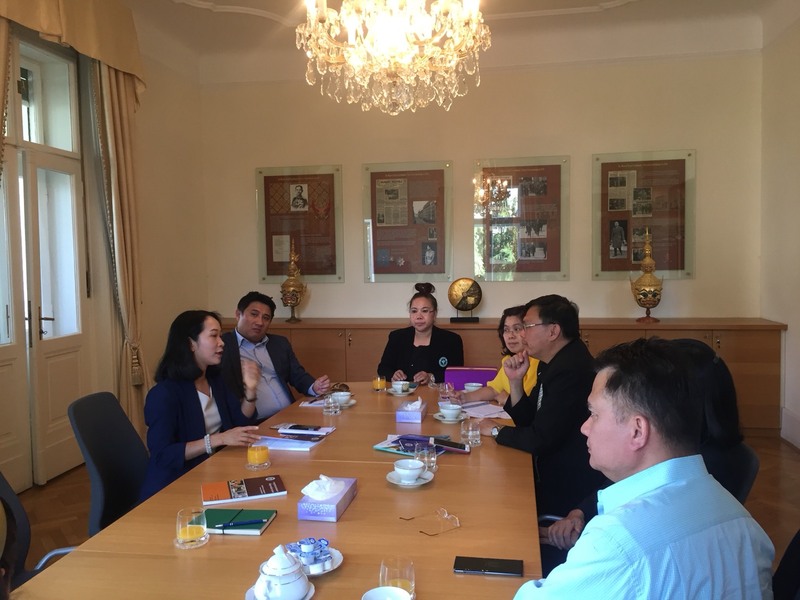 They also discussed about Thailand's wellness tourism policy, its wellness hub and the development of Thailand's hot springs business.